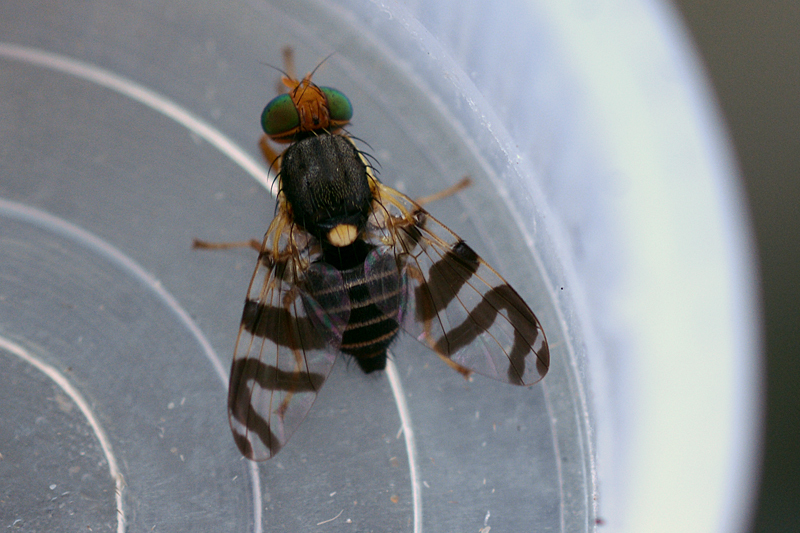 I was moth trapping on Portland, Dorset on night of 19th/20th July at Tout Quarry when I found an interesting looking diptera that keys out OK as Tephritidae and so far I can only find to match with Rhagoletis cingulata. I don’t know the status of this species in Britain and can’t find much about it. I tried to email you Laurence but don't know if it reached you OK after getting a bounce back. I'd welcome any confirmation/correction on the ID. Must admit it looks very much like R. cingulata, but I think there are similar species, so best await Laurence's comment. Thanks Nigel. Laurence has now confirmed this species as the first UK record.